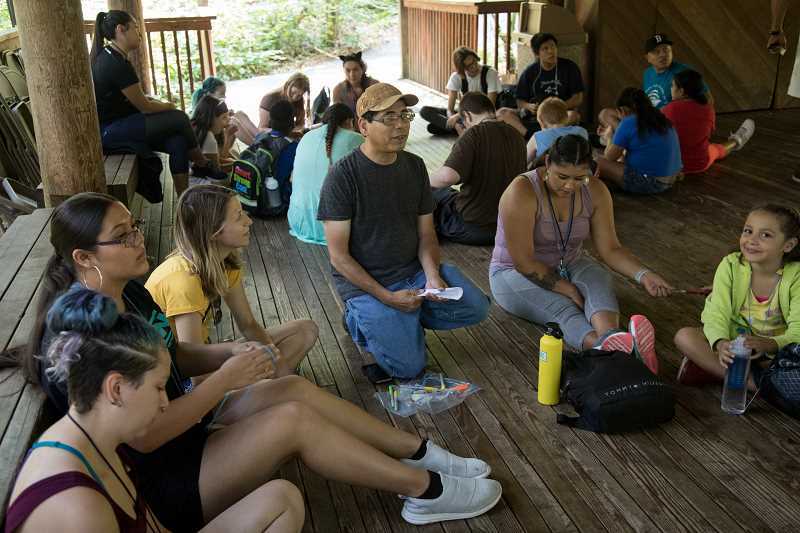 It was the first visit in a new Cultural Ecology program hosted by the Friends of Tryon Creek (FOTC) in collaboration with the Native American Youth And (NAYA) Family Center and the Grand Ronde Cultural Lifeways Community. The Oregon Parks and Recreation Department and the State Parks Foundation are also partners on the project. FOTC Education Director Gabe Sheoships says the goal of the program is to "build environmental education through a cultural lens," with a particular emphasis on making the lessons rooted in the Tryon Creek State Natural Area and its cultural history. "It's that area where culture meets science and how the two intertwine," he says. "This will be a cultural education that's missing in public schools, that's really place-based and focused on the natural world." Sheoships and other volunteers began developing the program last summer and testing it with a mix of field visits and classroom lectures, providing learning opportunities for 110 students from NAYA's Early College Academy and other schools in the Portland area. "We did it on kind of a bare-bones budget," Sheoships says. "We brought in some tribal volunteers to help teach." Sheoships is a member of the Confederated Tribes of Umatilla and has worked for 17 years as a fisheries ecologist. He says he's made a consistent effort to try to include a cultural aspect in his research and teaching, and he's had a long-term career goal of providing new cultural and educational opportunities for Indigenous youth. Sheoships says the idea for the Tryon Creek program grew out of that long-term goal, as well as the existing summer camps already hosted by FOTC. Sheoships was able to design the curriculum based in part on a class he teaches at Portland State University called Indigenous Sciences and the Environment. He began collaborating with NAYA for a series of guest classes and invited students for field visits to Tryon Creek, where they could compare the plants they saw on each visit and learn how the creek and its ecosystem changed with the seasons. The well-preserved status of the Tryon Creek area presents a unique opportunity for both outdoor education and cultural ecology within the Portland metro area, Sheoships says. "As far as our urban forests go, I think Tryon is in really good condition," he says. "This is a place to kind of ground it, and provide support." FOTC and NAYA envisioned last summer's events as a pilot for a larger version of the program, and they began developing a full curriculum with input from Native American elders and multiple youth summer camps. "I did it last year by just kind of piecing things together," Sheoships says. "This (school) year, we're shooting for around 175 students, between the high schools and several different camps." FOTC applied earlier this year for a grant from Metro to fund a full-scale implementation of the curriculum. The three-year, $100,000 grant was awarded in full as part of Metro's Nature in Neighborhoods program, allowing Sheoships to begin hosting the first classes in the grant cycle earlier this month. "(The grant) gives us a little more space to focus on it," Sheoships says. "Metro support will really allow us to build this program up the right way, with the attention it deserves. It's amazing to be able to do it." The grant will be used to fund transportation, insurance costs, staff support and intern stipends, Sheoships says. 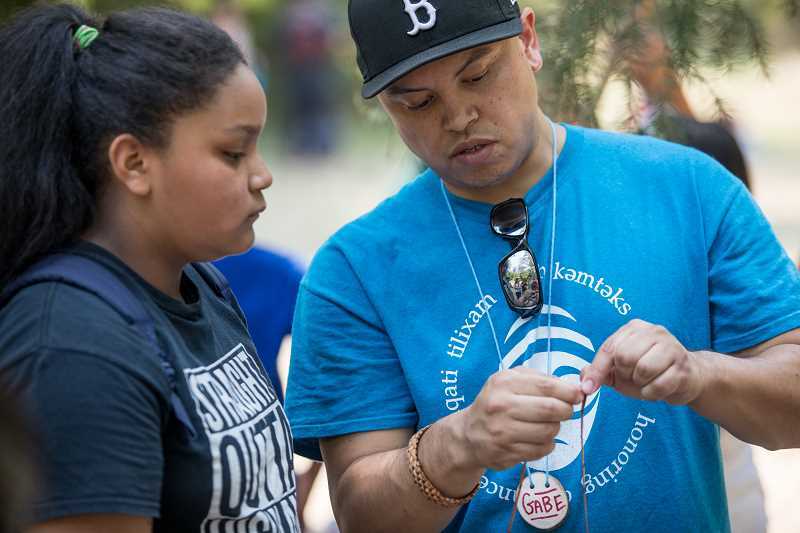 The program's instructors also include FOTC Camp Director Bobby Gutierrez, NAYA Youth and Education Services Department Director Tamara Henderson and Greg Archuleta, Cultural Education Leader with the Confederated Tribes of the Grande Ronde. 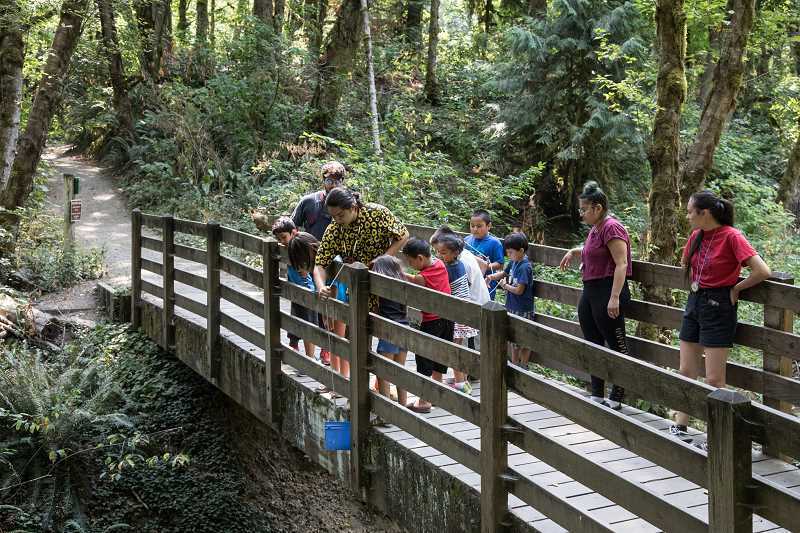 Sheoships says public school environmental education tends to be rooted in a purely Western conception of the natural world and what wilderness is, but the Tryon Creek program will be grounded in the traditions of local tribes from the Northwest. Recalling his own public school education, he says that Indigenous history tends to be left out or is heavily abridged. "It'll be just a little blurb in social studies about the Plains tribes," he says. "There's not much focus on Northwest tribes and the culture that we have." The curriculum will almost entirely be conducted outside, with a heavy focus on hiking, observation and interacting with elements of the natural world. The participants will typically visit two or three times per summer, Sheoships says, for all-day events that include both exploration and hands-on classes such as cooking traditional native fish over a fire or making cedar cordage. The program will include the ongoing development of an Indigenous Ethnobotany Encyclopedia, focusing on the native species of the Tryon Creek area and their cultural uses, such as the basket weaving, carving and engraving that can be performed with cedar. And for high school-age participants, Sheoships says the program is also intended to serve as a launching platform for students who are interested in pursuing careers in ecology and natural resource fields, with networking to provide connections to internships and fellowships. 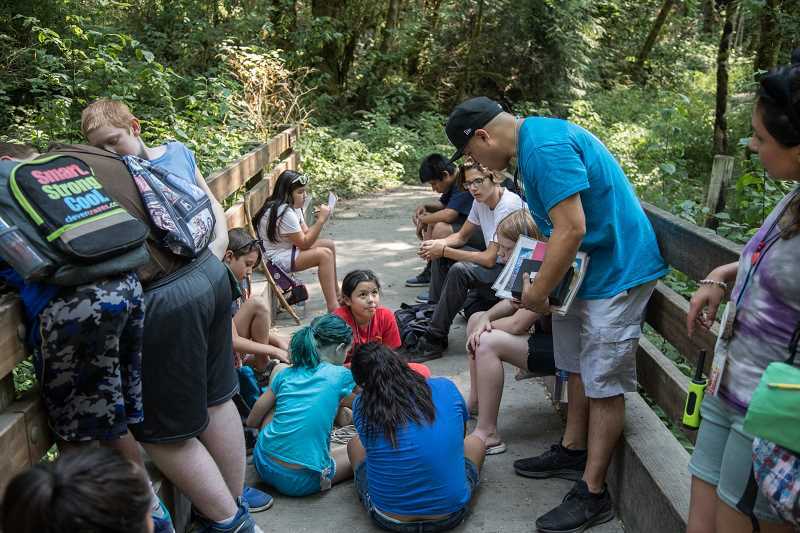 More broadly, Sheoships describes the Cultural Ecology program as the culmination of a multi-year effort among the Friends of Tryon Creek to connect Indigenous youth with the Tryon area and reclaim the land by putting the focus back on its original inhabitants. The Metro grant application notes that the project is developed and lead entirely by Indigenous people in order to create a space for the community to tell its own story. "It's restructuring that narrative around the lands and their original stewards, the tribes in this place," Sheoships says. "These areas didn't just appear in the 1800s."